Find out where Serena Williams was spotted building a School! Serena Williams builds School in the home country of #BobMarley, #UsainBolt & #BlueMountainCoffee. 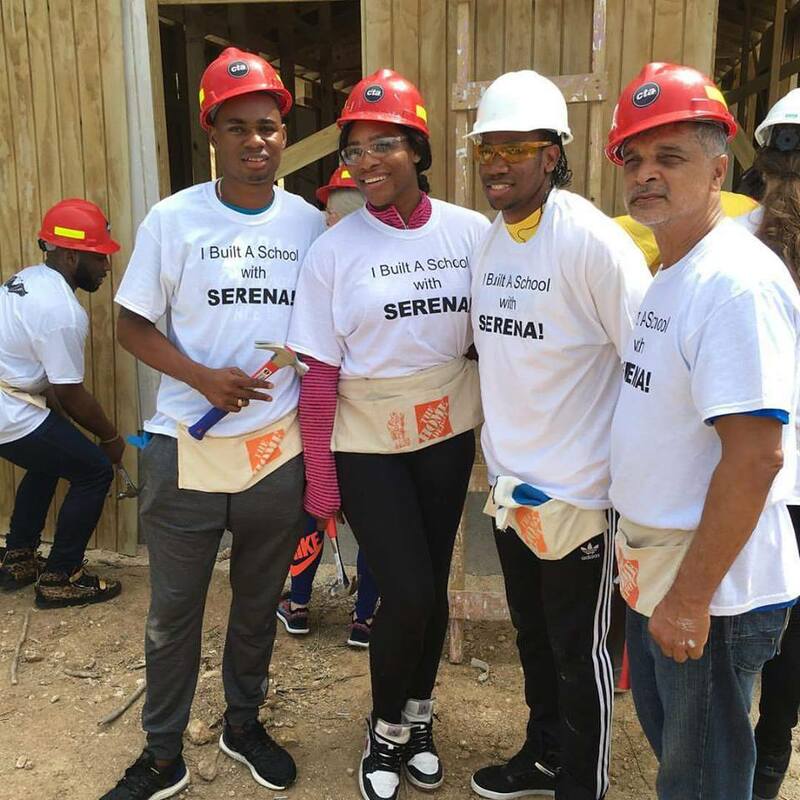 Tennis star Serena Williams recently partnered with Helping Hands Jamaica, and other volunteers to help build the Salt Marsh Primary School in Trelawny ( parish of #UsainBolt) . It was a hands on labor of love as she greed up with #HomeDepot construction safety gear and assisted in the building process showing off her construction skills. The star recently shared a video of herself hard at work. There is no word as to whether or not she woke up to a cup of #Jamaica Blue Mountain Coffee. However, judging by here energy level is fair to speculate that she did.. Why to go Serena! Blue Mountain Coffee 2015-2016 Supply Problems! TheWorldBestCoffee.com prides itself in providing the best quality roasted coffee to our customers at the lowest price. Over the past 3 years finding the best quality Jamaican Blue Mountain coffee at the lowest price is proving very difficult due to supply problems. Jamaica is sill reeling from the severe drought experienced in Jamaica and the Blue Mountain coffee growing region. This has adversely affected the 2014- 2015 coffee crop and the drought continued into 2015 -2016. In addition, the gowning region for Blue Mountain Coffee was affected by forest fires at the start of of the 2015/2016 crop. This affected the farmers and destroyed a significant number of the coffee trees. Free Jamaica Blue Mountain Coffee! Enter for a chance to win a full year off Jamaica Blue Mountain Coffee or any other of the 150 single origin coffee we sell for free! THE Coffee Industry Board says it will be cracking down on the sale of fake Blue Mountain coffee, particularly in the island’s resort areas. Coffee Industry Board Chairman Delano Franklyn did not give a specific date when the newly formed Brand Infringement and Enforcement Taskforce would begin its job of monitoring and protecting the world-famous brand, offering only that the raids will be conducted “before Christmas”.